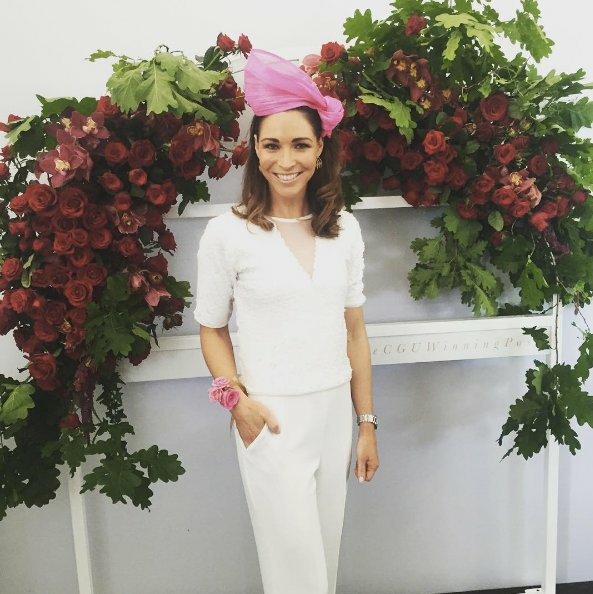 Rebecca Judd Crown Oaks Day 2016 outfit is perfection. 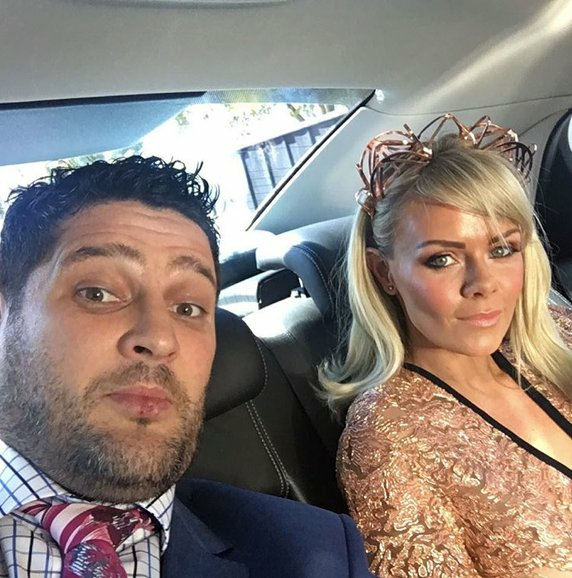 Let’s all take a moment to appreciate Bec Judd's Crown Oaks Day outfit. Yes, race days are packed with pink lipstick and frilly dresses, but make no mistake – attending these events in style is basically a competitive sport. Rebecca Judd? She’s the top of her tree. An elite athlete, if you will, when it comes to dressing up for any soiree where horses and champagne are involved. 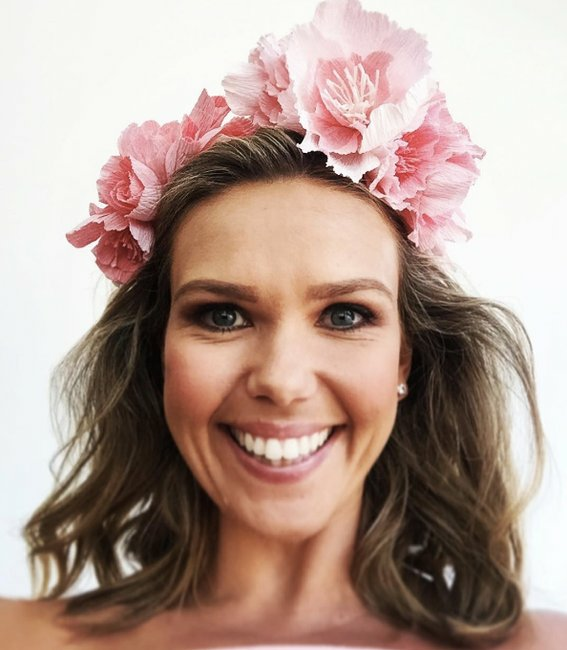 Today the mother of four (she recently gave birth to two adorable twin boys Tom and Darcy) is attending Crown Oaks Day at Flemington Racecourse in Melbourne, and she basically just won gold at the Spring Racing Olympics. She smashed the “Ladies Day” theme in a blue and white Jonathan Simkhai number and the most obscenely perfect silver Sophia Webster butterfly-adorned heels we’ve ever seen. They look like they’re about ready to fly the 33 year old off to a magical place where unicorns play and a never-ending supply of rainbow cupcakes awaits. Now, the pièce de résistance. Would you look at this butterfly headpiece by Danica Erard? Not since 1995 have we been more inspired to adorn our heads with something resembling a butterfly. 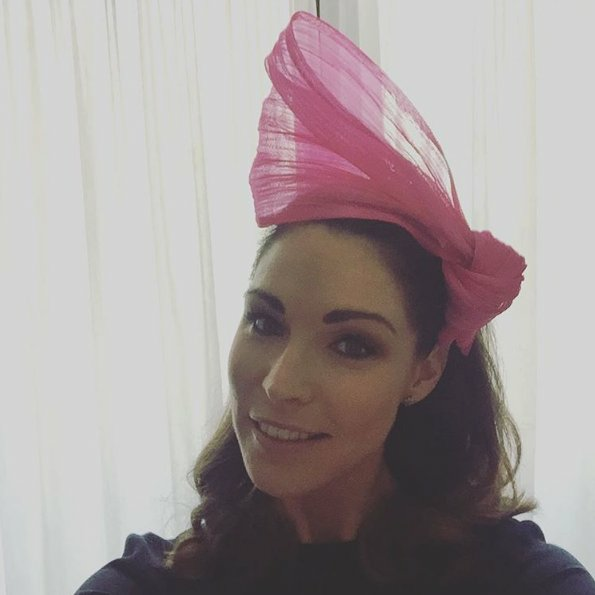 Watch: A guide to realistic, last-minute fascinators. Post continues after video. The Bec Judd Effect is a powerful, powerful thing. The Postcards presenter and model put the icing on the cake with subtle makeup, her signature loose waves, an elegant silver clutch and a statement watch. 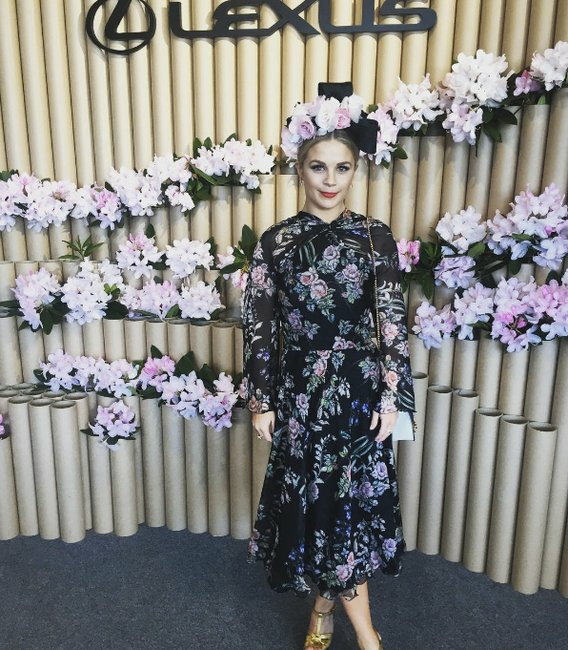 Bec, we can now forgive you for not turning up to Melbourne Cup day – this look makes up for it. 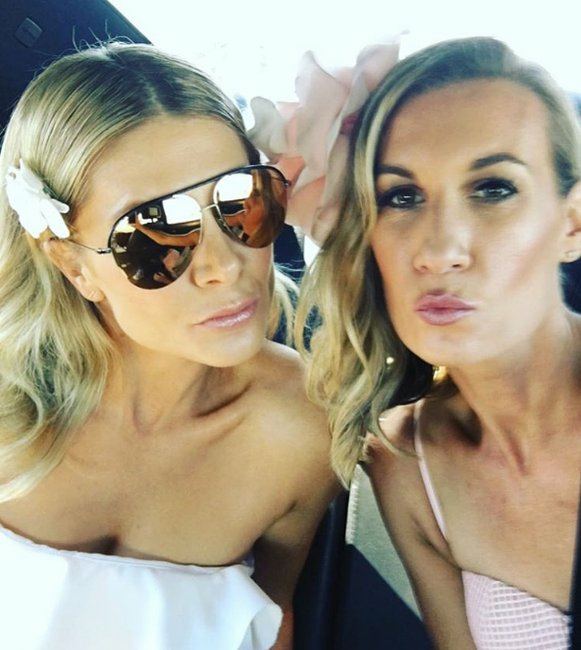 Elyse Knowles preparing for Oaks Day.